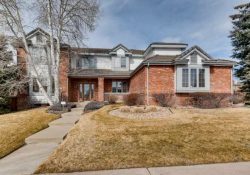 Ed: Current Denver Realtor and former custom home builder, Darren Crotchett ,offers comparisons between building a new Denver home and buying a resale. Building a new home in Denver has advantages. But, for some, buying a resale is less expensive. 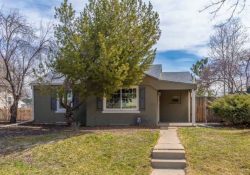 Are you considering a new Denver home or a home that’s older but new to you. There are advantages and disadvantages to each decision and it’s important to understand the differences and the advantages each has to offer. One of the main things I do as a Realtor is to counsel buyer on the factors involved in that decision and here are some factors that have helped them determine what’s was best for them. Whatever you want: Sometimes when looking for an older home, it’s hard to find everything you want, location, style of house, certain amenities, finishes, amount of land, etc. This is the number one factor that causes buyers to consider building new. If you can’t find what you want in an existing home, build a new one exactly the way that you want. Most home builders warranty their products for a minimum of one year and with this somewhat bearish market, some are offering a longer warranty to be more competitive. Appliances, air conditioners, furnaces and most other major mechanical equipment also come with warranties that may last up to five even ten years depending on the manufacturers. These warranties can save a great deal of out of pocket expenses that may come with an existing home. Little or no maintenance: With any new home comes the peace of mind knowing that everything is new and level of maintenance is relatively low for the first 5 to 10 years. If maintenance is not something a buyer wants to worry about, then a new home something that should be strongly considered. It’s brand new: Many buyers like the idea of being the first in the home. No one’s been there before them. A new house, with fresh paint and cabinets, new carpet and nice shiny new appliances, smells wonderful. Also, new homes are built with the latest technology and building codes will ensure that the house is running green and can save you a lot of money on your utilities. 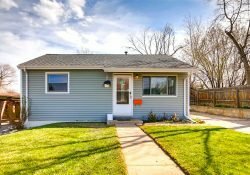 New Denver homes are more expensive in the same neighborhood: In many cases, especially in a buyer’s market, to build a home with similar amenities of those in an existing home, it’s going to cost quite a bit more money per square foot. The cost of materials and services has increased substantially over the years and those costs are directly related to the higher costs of building. Land can also be more expensive, as well. There’s less of it. And if you’re building in a more desirable area of older homes, in many cases the value of the property is directly related to the actual value of the land and not the structure that’s on it. It takes time…Most new homes can take anywhere from 5 months to 14 months to build and that doesn’t include the amount of time need to do your due diligence in finding the right property, procuring the right contractor and taking the necessary steps to acquire the appropriate permits all in order to even get the building process started. Sometimes from start to finish, depending on what it is that you’re trying to achieve, can take years. They have a tendency to look the same….. With the cost of building a home skyrocketing in the past several years, builders have learned to become very efficient in their approach to building. 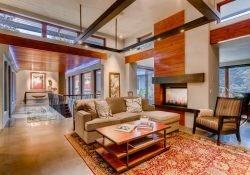 In most cases they only have a few floor plans to choose from, with only a few different levels of finish, both inside and out and don’t have many of the custom features you may find in an existing home. In order to achieve that “custom” look and feel you’re going pay for it. Luxury homes have a price tag. You need landscaping: Often times buyers forget that landscaping is a very integral part of the homebuilding process. It sometimes gets overlooked when planning to build a home. Grass, trees, shrubs and all of the other exterior accouterments don’t show up on their own and are a must when putting together the finishing touches. Landscaping can cost a few thousand to several thousand depending on what you’re trying to achieve. Don’t forget landscaping! This Park Hill Home in Denver exudes charm and character that can't be found in most new homes. Price per square foot: It’s not the only consideration; however an older home is going to provide you with a lot more space than a new one for the same price per square foot. With the cost of service and materials it is nearly impossible to build for less than you can buy the same size home. Larger Lots: As I said earlier, an existing home’s value, in some cases is directly related to the value of the land it’s built on. This means that you can get a nice piece of property and a home to go with it on a piece of property that’s not worth a whole lot less by itself, without a structure on it. When you’re looking for a larger lot an older home will get you more for your money. Tons of Character: An older home can provide a buyer with the kind of character that a new home would take years and years to develop. Some older homes have wonderful features that in many cases cannot be replicated, and any undesirable features can easily be change without taking from the homes original character. 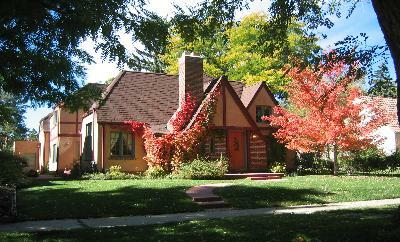 Denver neighborhoods such as Park Hill, The Highlands and Washington Park are examples. This allows you to have the best of both worlds, by adding some of your own personal character to an otherwise classic piece of architecture. 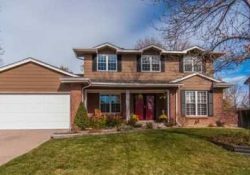 Mature trees and vegetation: With any existing home, there has been enough time that has passed which has allowed trees and vegetation to mature which, arguably, adds tremendous character not only to the home but to the entire neighborhood itself. Out of date….many older homes may need some updating. If you plan on staying in the house for a while it can be done over time, but if you plan on selling the home sooner than later, those updated are important so as not to lose out on potential equity. When considering buying an existing home that may need updates, make sure to calculate the costs of those updates into the asking price of the home. Older stuff: With any older home comes the potential for corroded plumbing and/or faulty electrical. It’s very important to have a thorough, comprehensive inspection and evaluation of all mechanical elements of the home which would include, electrical, plumbing, Heating and cooling systems (HVAC), as well as checking the overall condition of the roof and foundation. There is no reason to think an older home is in any way inferior to a new home as far as its integrity, however it always wise to make sure. Maintenance: Older homes require more maintenance. Unlike a new home, older homes will not come with a warranty to cover you in the event of a mechanical or electrical failure. Even with a thorough inspection of the property, it’s sometimes impossible to anticipate what can go wrong with those older items in the home. Make sure to ask if a home warranty is avail and sometimes makes sense to purchase one. Buying a home should be a fun and worthwhile learning experience. It can be challenging at times and that comes with the territory. Whatever route you decide to take, make sure to hire a good real estate agent to help you make these buying decisions and guide you through the process. Do your due diligence and have fun with it. 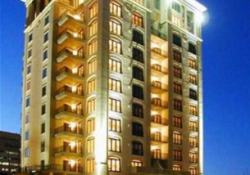 More advantages of building a new home…. Warranty: Most home builders warranty their products for a minimum of one year and with this bearish market, some are offering a longer warranty to be more competitive. Appliances, air conditioners, furnaces and most other major mechanical equipment also come with warranties that may last up to five even ten years depending on the manufacturers. These warranties can save a great deal of out of pocket expenses that may come with an existing home. It’s brand new……Many buyers like the idea of being the first in the home. No one’s been there before them. A new house, with fresh paint and cabinets, new carpet and nice shiny new appliances, smells wonderful. Also, new homes are built with the latest technology and building codes will ensure that the house is running green and can save you a lot of money on your utilities. In Denver, New homes can be more expensive: In many cases, especially in a buyer’s market, to build a home with similar amenities of those in an existing home, it’s going to cost quite a bit more money per square foot. The cost of materials and services has increased substantially over the years and those costs are directly related to the higher costs of building. Land can also be more expensive, as well. There’s less of it. And if you’re building in a more desirable area of older homes, in many cases the value of the property is directly related to the actual value of the land and not the structure that’s on it. It takes time: Most new homes can take anywhere from 6 months to a year to build and that doesn’t include the amount of time need to do your due diligence in finding the right property, procuring the right contractor and taking the necessary steps to acquire the appropriate permits all in order to even get the building process started. Sometimes from start to finish, depending on what it is that you’re trying to achieve, can take years. They have a tendency to look the same: With the cost of building a home skyrocketing in the past several years, builders have learned to become very efficient in their approach to building. In most cases they only have a few floor plans to choose from, with only a few different levels of finish, both inside and out and don’t have many of the custom features you may find in an existing home. In order to achieve that “custom” look and feel you’re going pay for it. Price per square ft: I would never recommend that someone looking to buy base their decision on the cost per square foot; however an older home is going to provide you with a lot more space than a new one for the same price per square foot. With the cost of service and materials it is nearly impossible to build for less than you can buy the same size home. More Land: As I said earlier, an existing home’s value, in some cases is directly related to the value of the land it’s built on. This means that you can get a nice piece of property and a home to go with it on a piece of property that’s not worth a whole lot less by itself, without a structure on it. When you’re looking for a larger lot an older home will get you more for your money. Tons of Character: An older home can provide a buyer with the kind of character that a new home would take years and years to develop. Some older homes have wonderful features that in many cases cannot be replicated, and any undesirable features can easily be change without taking from the homes original character. This allows you to have the best of both worlds, by adding some of your own personal character to an otherwise classic piece of architecture. Out of date: many older homes may need some updating. If you plan on staying in the house for a while it can be done over time, but if you plan on selling the home sooner than later, those updated are important so as not to lose out on potential equity. When considering buying an existing home that may need updates, make sure to calculate the costs of those updates into the asking price of the home. Maintenance: Older homes often require more maintenance. Unlike a new home, older homes will not come with a warranty to cover you in the event of a mechanical or electrical failure. Even with a thorough inspection of the property, it’s sometimes impossible to anticipate what can go wrong with those older items in the home. Make sure to ask if a home warranty is avail and sometimes makes sense to purchase one. Buying a home should be a fun and worthwhile learning experience. It can be challenging at times and that comes with the territory. Whatever route you decide to take, make sure to hire a good real estate agent to help you make these buying decisions and guide you through the process. Do your due diligence and have fun with it! 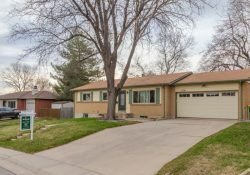 Good article for deciding of buying a good home in Denver. You should really consider first the advantages and disadvantages things or facts. Yes its really exciting to find a good and comfortable house. But you need to check first all of the things that you should consider. Thanks for posting this article. A big help to people! Thumbs up for you!